Sprinta; Quick and safe side shift to work around obstacles. 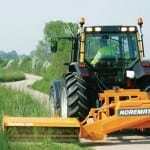 The side-shift system of the mowing head allows cutting around obstacles while maintaining the same tractor trajectory. The Sprinta Visio is especially designed to be used on front linkages for better driver comfort. The Visio model retains the characteristics of the classic Sprinta and benefits from specific innovations of front-mounting; increased visibility and reduced overhang. The XP is a strong axial flailmower, built for heavy work and longevity. 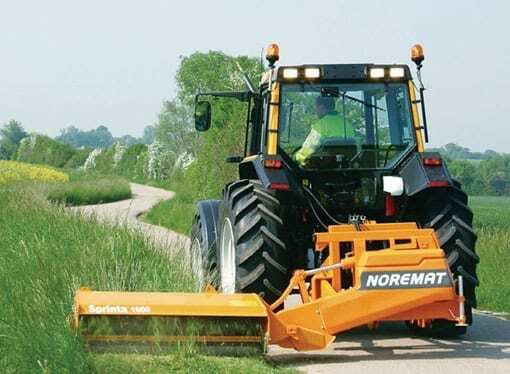 It is available in 3 working widths, can be mounted front or rear and driven by 540 or 1000 rpm PTO shaft just by swapping pulleys.